The National Defence Academy has done its best to accomplish all assigned tasks, making great contributions to the military development, as well as national construction and defence over the past 30 years, said Party General Secretary Nong Duc Manh. 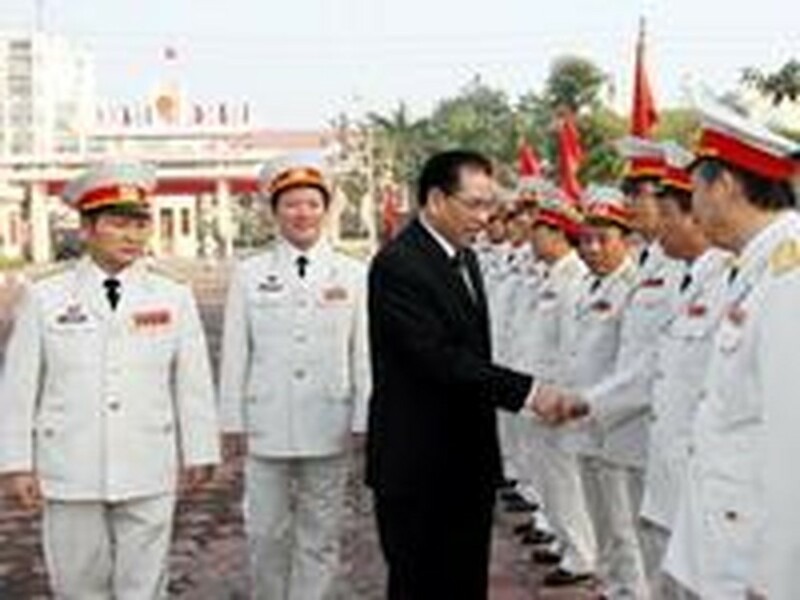 The Party leader expressed his appreciation while visiting the academy on December 20 on the occasion of its 30th anniversary as well as the 60th anniversary of the National Resistance Day, and the 62nd anniversary of the Vietnam People's Army. Particularly, the Party leader said, the academy has played a critical role in training soldiers, officers and military scientists for the Vietnam People's Army, and for some fraternal countries. It has also made immense contributions to the development of the military strategy science, particularly in researching and providing consultancy for the Party, the State and the army on national defence and military-related issues. General Secretary Manh highlighted the academy's role in equipping its trainees with knowledge about the policies, points of view and direction of the Party regarding national defence and security. In order to accomplish its tasks, the party Leader said, the academy should concentrate on researching, renovating and improving training quality and efficiency, as well as closely combine scientific research with training and actively speed up application of researching achievements in reality. He also called on the academy staff and trainees to continue keeping their political consciousness and consolidate their party organisation.